Words by Kevin Doocey on January 21, 2014 . Revert your thoughts to this time last year. Newcastle United fans across the world grimaced when the ball went anywhere near Mike Williamson. The centre-back portrayed a lumbering figure, bereft of confidence and limited in ability. I personally remember worrying about Loic Rémy facing Williamson in our crucial fixture against Queens Park Rangers towards the end of last season which secured our Premier League safety. Rémy had already struck away a penalty earlier in the game and Newcastle had regressed into their defensive shape which almost cost the club its league status. To make a long story short, Williamson and Coloccini eventually kept the home side at bay until the final whistle in an incredibly nervy final half-hour. Fast forward to 2013, and Mike Williamson’s reputation could not be any higher amongst Toon fans. Story so far: Mike has fast become one of the true success stories of the season so far. He looks a man transformed. Through various knocks and niggles to other defenders Williamson has established himself as a first choice central defender at the club and his season so far was summed up by a cool Johan Cruyff-like turn away from pressure against West Ham last time out; classy and composed. His partnership with Fabricio Coloccini has helped him earn the nickname ‘Iron Mike’ with a few fans tipping him to earn at spot in the England squad ahead of the 2014 World Cup on current form! His aerial ability is proving important, and as many will have noticed — he becoming more threatening in offensive situations; particularly free-kicks as he is the point of target for Yohan Cabaye’s delivery. Moment of the Season: His sterling performance against West Brom at home. He commanded the back-four at times and for the entire 90 minutes resembled a footballer that had played in the Premier League all his career. He is proving a key player for us, and long may his good form continue. Solid, composed, tactically astute, reliable. Four words that can be associated with a certain Mike Williamson this season so far; who would have thought?! 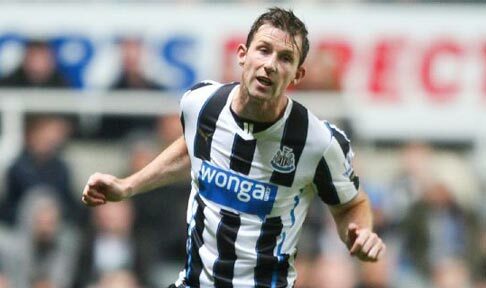 What are your thoughts on the performances of Mike Williamson this season? Comments in the section provided below please, and make sure you give me a follow on Twitter @KevinDoocey and like Tyne Time’s Facebook page!